Died in Hospital #8 of typhoid fever. Robert was born 7 May 1841 to Joshua Davis and Kisiah Stanfield. 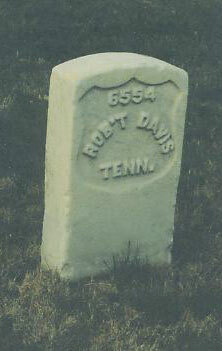 He was the brother of Jesse Davis and Mason Davis, also members of the First.